The folks at Gift of Wings have a kite shop at Veterans Park on the Lakefront, selling all different kinds of fixed and mobile wind-powered diversions. With the wind we've had this week, it certainly is good kite flying weather. 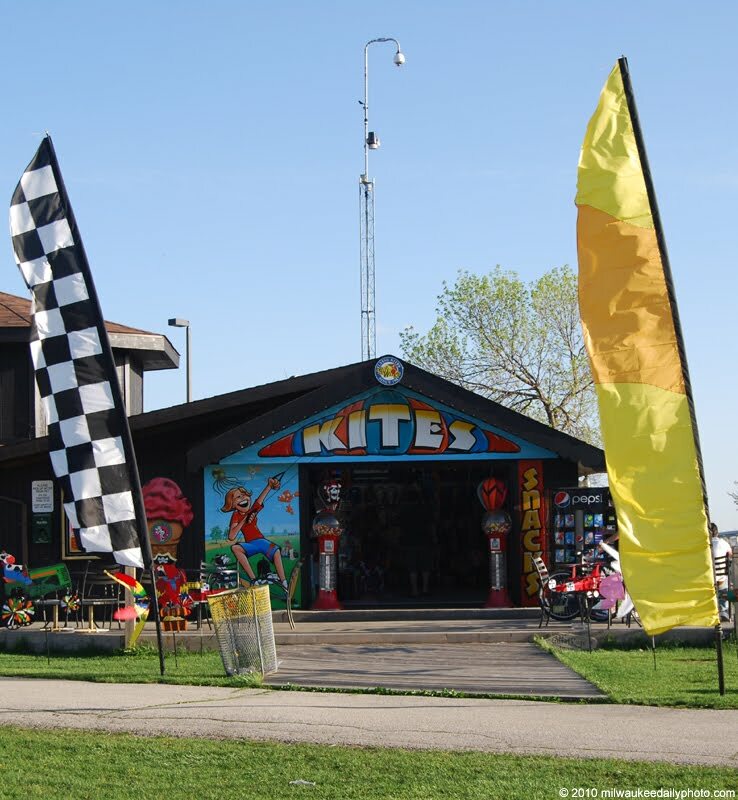 The 23rd Annual Family Kite Festival will be held on the 29th and 30th of May at the park.